Why Seamless Steel Siding Installation is the Best Investment for Your Madison, WI, Area Home If you need siding installation services, you may be wondering what cladding material would be the best choice for outfitting your Madison, Wisconsin, area home. There are so many siding options available on the market today – including fiber cement, wood, and vinyl – that each offer their own features and benefits. 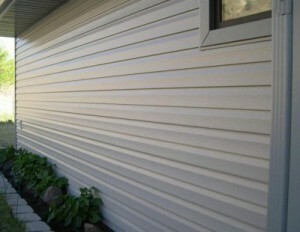 However, one type of siding stands a cut above the rest – seamless steel. When you turn to ABC Seamless Home Specialists for your siding installation project, you will receive top-of-the-line seamless steel siding that will dramatically enhance the beauty, energy efficiency, and resilience of your home. Since we will measure and custom-cut your siding to fit the exact dimensions of your house, there will virtually no seams, which will make it less drafty, leaky, and will eliminate places for bugs to enter. Contact ABC Seamless Home Specialists today to learn more about the siding installation services we provide to homeowners in the Madison, WI, area, and beyond. We would be happy to provide you with more information and answer any questions you may have.